Are you in need of an immigration attorney? As an immigration law firm in Minnesota, Tarshish Cody PLC provides legal representation in various immigration matters for businesses and individuals. Ask an attorney at our firm about how to make Minnesota’s immigration laws work for you. 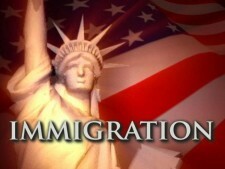 An immigration lawyer will walk you through the steps needed to resolve your immigration questions. Our staff will make sure that your immigration case is dealt with promptly and handled properly. Get started now by completing the above immigration case review form. A Minnesota immigration lawyer will review your information. Free Immigration Case Review in Minnesota.